Just a quick post to let you know where I’ve been. 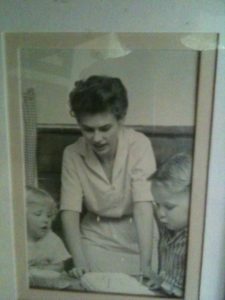 I haven’t forgotten about my website, but I’m in Nevada caring for my mother who needs me. I hope to be home soon, but want to make sure she’s stable first. 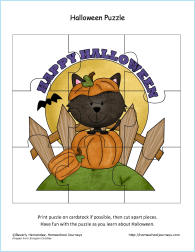 I hope you enjoy the Halloween Printables and maybe you’ll hear from me again next week. Halloween is celebrated on October 31st each year. Children celebrate by dressing up in costumes and going trick-or-treating, costume parties or other festivals. Pumpkins are carved into jack-o-lanterns, scary movies are abundant, and the day is filled with candy and treats. As an alternative, many churches hold Harvest Festivals on Halloween night with game booths and providing children a fun and safe place to spend the evening. 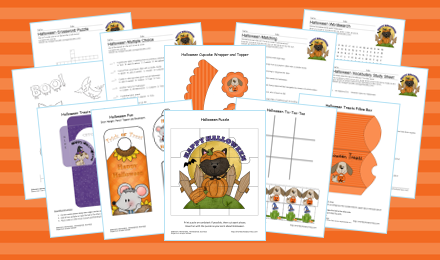 Here’s a set of Halloween themed printable activities for your kids. 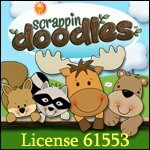 They’ll learn terms related to Halloween, make a puzzle, play a game of Tic-Tac-Toe and make decorations for treats. In August of 1492, Columbus set sail from Spain with three ships: the Niña, the Pinta, and the Santa Maria. Land was spotted in the early morning of October 12, 1492. Christopher Columbus was the first modern explorer to reach the Americas. Columbus Day is celebrated on the second Monday in October. 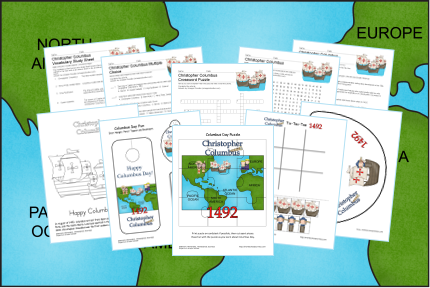 Here’s a set of Columbus Day themed printable activities for your kids. 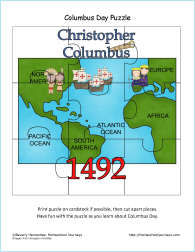 They’ll learn terms related to the Christopher Columbus, make a puzzle and sun visor, play a game of Tic-Tac-Toe and more.